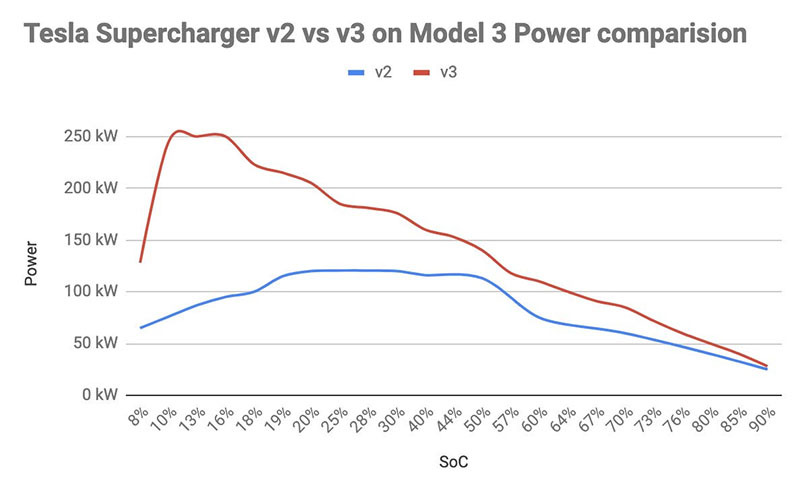 Privater has created a few graphs comparing Superchargers v2 and v3. His Model 3 charges from 15% to 80% in 24 min, honestly it sounds fantastic! 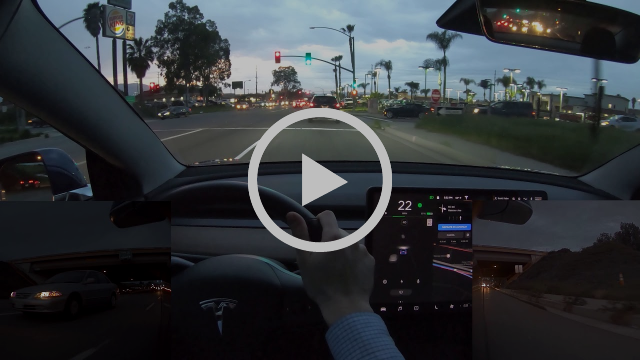 Good news for owners that have a Model S or X, the latest software - thanks to warming up battery when you head to a Supercharger - improves supercharging times by up to 25%. It is pretty amazing that cars from 2012 are still getting better! For now if you use the navigation when heading to a Supercharger, that way your car will charge faster. 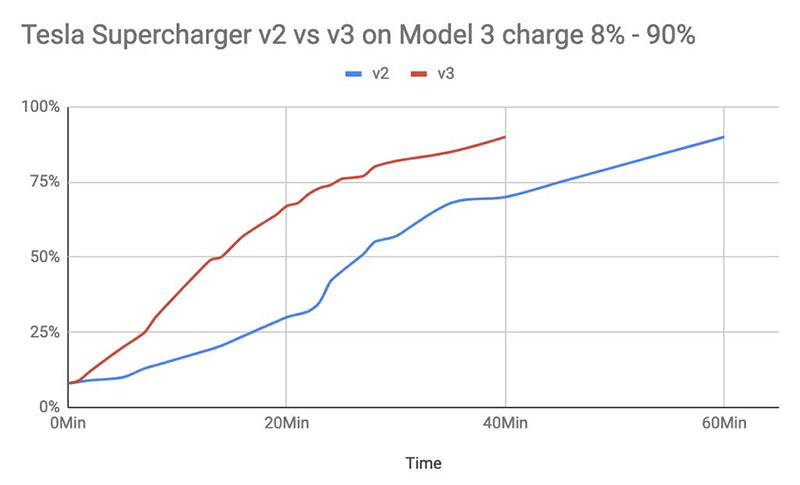 According to Elon, between the software update, the new v3, and the increase in power in v2, Superchargers charge time will drop by a factor of 2 for the whole Tesla fleet and a factor of 4 for Model 3s. These changes more than double total Supercharger system throughput worldwide. The owner’s manual in 2019.8.1 seems to include a detailed description about Enhanced Summon. Our prediction is that Enhanced Summon will be presented at the Model Y unveiling event and that Elon would Summon the Model Y to the stage. AP and FSD prices are going up! Tesla dropped FSD and AP for owners but Elon just announced that prices are going back to normal on Monday. This is after a few Tesla owners who already purchased EAP complained about having to pay more for FSD than people who didn’t. If you own a Tesla and you want to take advantage of the lower prices for FSD or AP, hurry up and get them before Monday. If you are one of the lucky ones who got invited and you are currently in LA there is a meetup at noon at 3200 N Sepulveda Blvd, Manhattan Beach, CA 90266. Tesla announced last week that they were moving all their sales online. This week they announced a change of plans and will be closing only half of the stores that they first intended. 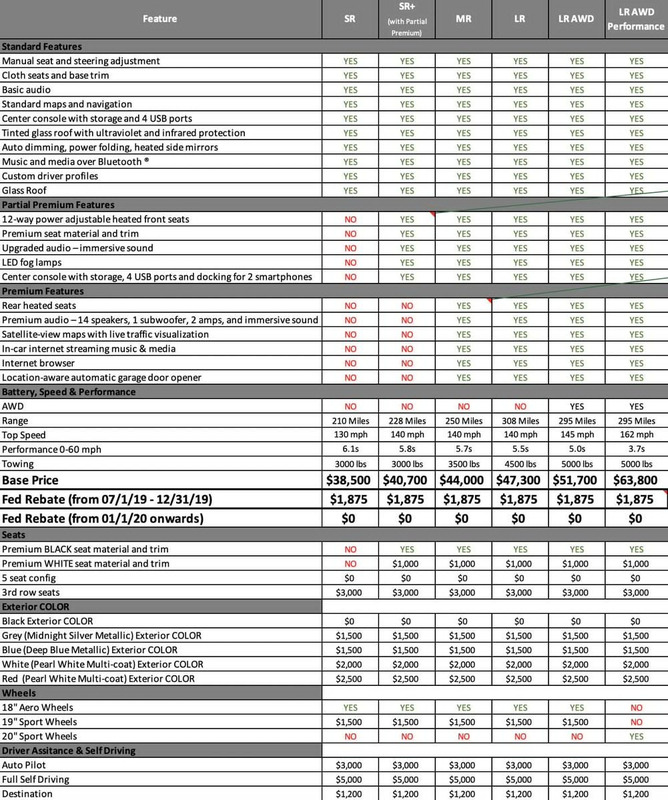 As a result of keeping significantly more stores open, Tesla will need to raise vehicle prices by about 3% on average worldwide except for SR Model 3 that will keep the $35k price tag. The price increase is going out on Monday, March 18th, so if you were thinking about buying a Tesla and want to take advantage of the lower prices go ahead and order before Monday!